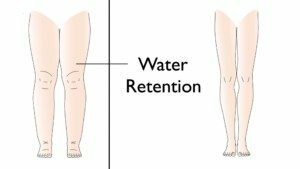 Water retention (or “edema”) is the buildup of excess fluids within the body. Commonly occurring in the cavities and tissues, this extra water often produces visible effects, including swelling of the ankles, feet, legs, and hands. 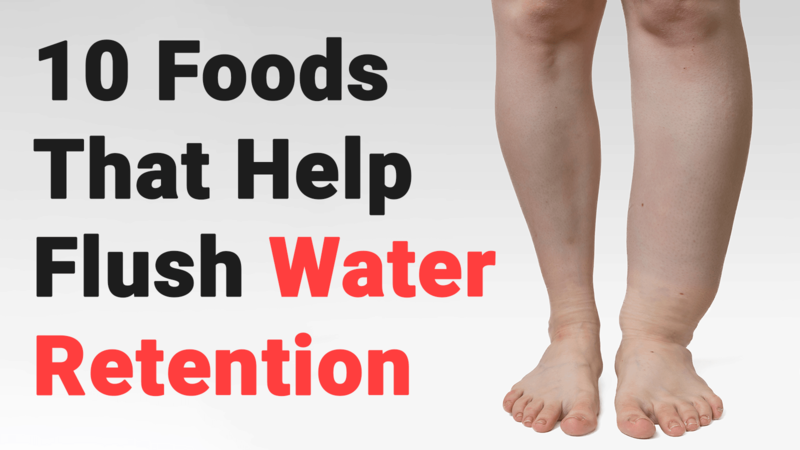 Keep in mind that water retention can also be a symptom of severe medical conditions like kidney failure. For this reason, if you’re retaining water while also experiencing more severe symptoms, it wise to seek the advice of your primary caregiver. 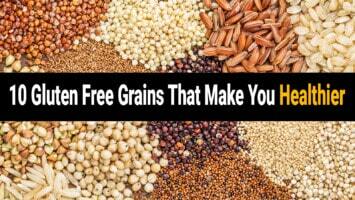 Whole wheat flour is an excellent source of magnesium at around 160 milligrams per cup. Magnesium is a vital nutrient for health and is involved in over 300 biochemical reactions within the body. Bananas are loaded with potassium, but they are also packed with vitamin B6 (pyridoxine). A study published in the Journal of Caring Sciences found that B6 “had the most … efficiency in improving (premenstrual syndrome. )” One of the most frequently experienced symptoms of PMS is bloating, which is caused by the body’s increased storage of water during this time. One medium-sized avocado contains more potassium than any other food, registering over 1,050 milligrams, or approximately 30 percent of the recommended daily value (DV). Potassium works to reduce water retention by lowering the body’s sodium levels and increasing urine production. Cinnamon may help re-balance water levels by increasing our body’s core temperature – a process known as thermogenesis. This process effectively speeds up our resting metabolic rate, resulting in more fat (and water) loss. Cinnamon may also decrease insulin resistance, thereby helping the body to maintain healthy blood sugar levels. Bug Bunny’s go-to food is loaded with phytochemicals – active plant-based compounds – that promote diuresis, or the production of urine. The body produces this urine from water and salt within the system. Carrots also contain important antioxidants and vitamins that work to help detox the body. Ginger is a miracle spice, aiding the body in any number of ways, from relieving pain to curing loss of appetite. It is no surprise, then, that ginger helps expel water from the body. 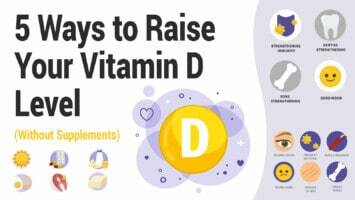 It does so by increasing the production of urine and eliminating harmful toxins. In a noteworthy study published by the National Institutes of Health, rats who drank a liquid form of parsley extract eliminated “a significantly larger volume of urine” compared to water by itself. The researchers note that the diuretic effects of parsley extract are due to the timely elimination of potassium and sodium from the body. We can’t discuss diuretics without mentioning the sumptuous cranberry! Cranberries are excellent for flushing the byproducts of waste in addition to excess water. Cranberries are also loaded with antioxidants and vitamin C, protecting the body from damaging toxins and free radicals while boosting the immune system! Speaking of miracle foods, you can confidently add garlic to that list. The widespread use of garlic as a natural treatment (especially for the common cold) is due to its mineral-dense properties. Garlic contains antioxidants (including the potent allicin), vitamins B6 and C, and manganese and selenium, all of which play at least a small role in promoting healthy water balance and overall health. 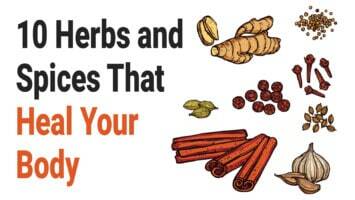 For brevity, we could not include every single herb that helps flush water retention. Studies show that the herbs dandelion, horsetail, and hibiscus may be among the most potent natural diuretics as far as natural remedies go. Try cutting back on salt: Reduce your intake of processed foods by substituting healthy, organic foods on occasion. Also, stay away from fast food and microwaved meals. Get the ‘Big 3′: Eating foods high in magnesium, potassium, and vitamin B6 is a must if you are trying to rid flush excess water. Eliminate the refined carbs: White bread, white rice, and any other form of sugar or starches, except natural sugars from food, should be eliminated. Consuming refined carbohydrates while retaining water will only exacerbate the condition. See a doctor: If your symptoms do not improve, it’s better to play it safe and seek the advice of a licensed physician or your chosen wellness professional.